what is the best laptop ( upgradeable and serve as a desktop replacement) these days in range of 2000 - 2500 USD ? which of them is the best ?, and is there more options ? What are you using it for? gaming? photo editing? CAD? If you are gaming, at what resolution? Also, what do you want to play? Best is really a biased word. Depends what is best to you, not a review of "top 10 best laptops". You need to consider what it includes, it's upgrade compatibility, etc. Laptops aren't that great for gaming. There's little you can replace on a laptop. Only thing on laptops, you can switch the HDD/SSD and RAM. That's about it. 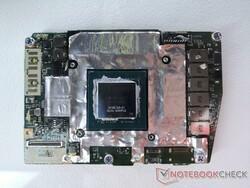 Some you can replace GFX card, but that is very unlikely. For 2000-2500, you can build a pretty badarse desktop. The Dell Alienware Area-51m is an excellent choice! @Mindovermasterthere are certain laptops in the human universe that are EXTRA SPECIAL and this is one of them! It has a upgradeable CPU and GPU as well, along with an optional external case for holding Desktop GPU cards! It comes with a RTX 2080 GPU which competes well with most gaming desktops! 2. It is NOT price range that determines what is soldered in, it is DESIGN PHILOSOPHY. "While our specific unit is a higher-end configuration with the Core i9-9900K and RTX 2080, lower-end options ship with the Core i7-8700 and RTX 2060 instead. The ability to swap out both the CPU and GPU is a unique advantage in the gaming laptop space where soldered processors are commonplace. The Area-51m has more in common with Clevo barebone laptops (Schenker, Eurocom, etc.) rather than laptops from MSI or Asus as a result. Unveiled at CES 2019, the Area-51m represents a pivotal moment for Dell and Alienware. The OEM has discontinued its venerable Alienware 17 series after all these years to introduce a completely new design that will likely become the baseline for future Alienware laptops. Even the name is a deliberate nod to the original Alienware Area-51 laptop we reviewed over a decade ago. There are several key aspects about the Area-51m that make it special when compared to competing 17.3-inch gaming laptops already in the market. For one, it's one of the few laptops that integrate Tobii eye-tracking for support on certain titles. Secondly, the system utilizes a standard 95+ W desktop Core i9-9900K CPU instead of the usual 45 W mobile Core i7 or i9 series found on most gaming laptops. Lastly, its RTX 2080 GPU is a removable and upgradeable Dell Graphics Form Factor (DGFF) card in the same vein as the MXM GPU. Combine this with a new chassis that optimizes airflow and you have the most powerful Alienware laptop Dell has created yet." Well, you aren't gunna get un-soldered with a $500 laptop. That's my point.. 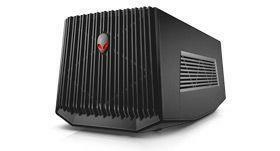 The OP's suggested model, the Area-51m does in fact keep Alienware's external GPU adapter technology, the "Graphics Amplifier"
Sorry man, it's not the cost. It's still DESIGN. You have Steve Jobs to thank for that one. He discovered people don't understand what is INSIDE a device so he retarded the entire progress of the computing world to make STYLE more important than FUNCTION. The typical dumb as **** customer could see with their eyes the THICKNESS of a device and were easily convinced that THIN was the Next Big Thing. Soldered components are THINNER and save even more space by not needed any access panels etc. Thus started the trend to devices that can't be maintained or upgraded and in many cases must be thrown in the garbage when their Lithium Batteries wear out! The gaming customer is more tech aware and is smart enough to realize the tech advantages he/she can get from a THICK Laptop. Hence socketed components are possible, depending on the whims of the manufacturer's marketing department when they set the form factor of a new model... Most gaming laptops DON'T have sockets so they can be the THINNEST gaming laptop no matter how FUNCTIONALLY STUPID THAT MIGHT BE. on a side note... for gaming, get a desktop. laptops ain't worth it unless portability is paramount. so even based on your own words... a desktop can do all of that and for cheaper to and will probably last longer to and you get a bigger screen etc. The OP did the research to discover that the NEW ALienware Area-51m had a desktop Core i9-9900K CPU and a RTX 2080 which Monstrously EXCEEDS many of the desktop gaming builds that people discuss right here in these forums. And it can be expanded with an external DESKTOP GPU CARD cabinet. And it has connectors for 4K external monitors. For example, Gaming Laptops if configured correctly make great Workstation Class Laptops almost as good as a Lenovo P71 for example, for a lot less money. I'm personally quite happy for this thread since that Alienware is now on my TOP 5 candidates for my NEXT development laptop to replace my Dell XPS 15. I need to wait for 2 things: enough funds, and the 4K Touchscreen option. Portability is very important to me, I travel a lot.